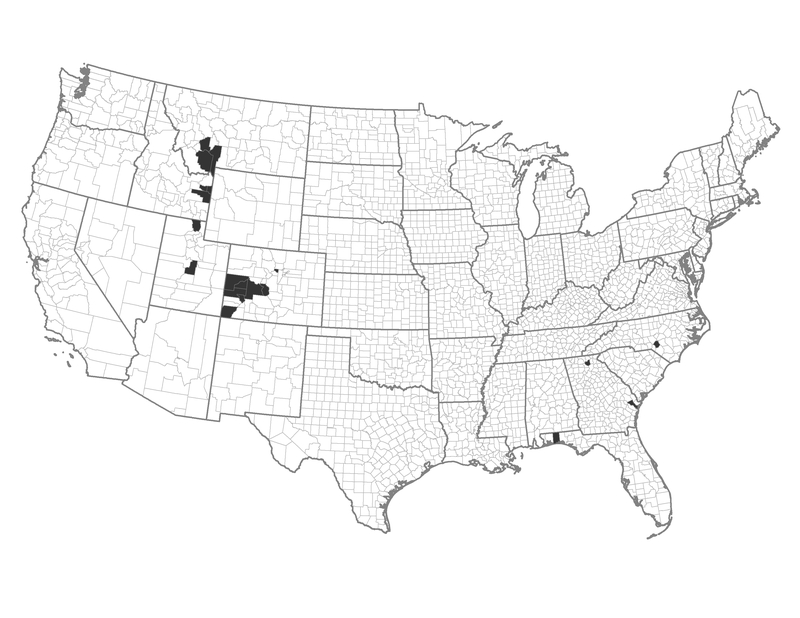 This group occurs mostly in western counties, with many located in Colorado and Utah. This area has a large proportion of federal ownership and is characterized as rural with a moderate population density. There are fewer homes exposed but a larger Wildland Urban Interface (WUI) area factor. Example of a Typical County — Mesa County, Colorado: This west Colorado county includes the town of Grand Junction. Three quarters of the land area is federal, and this includes the Grand Mesa and Uncompahgre National Forests.